Look who's back on The Originals in time for the holidays. We've missed you, Claire Holt! 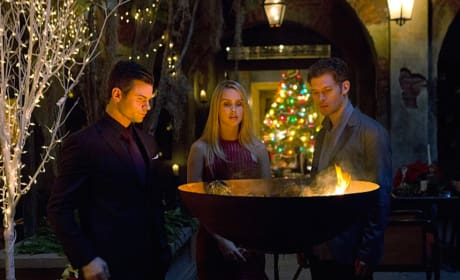 Hayley and Jackson celebrate Christmas with Hope on The Originals Season 3 Episode 9. Cami and Freya join their happy moment.